The new MDM features will be available in all Microsoft Office 365 commercial plans for business, enterprise, education and government customers at no additional cost. Microsoft today said customers worldwide should see the new features over the next four to six weeks. The rollout makes good on the MDM features for Office 365 that Microsoft announced at TechEd Europe last October. Once it arrives, Office 365 admins will be able to manage a large chunk of corporate data on iOS, Android and Windows Phone devices from the Office 365 admin centre. MDM for Office 365 is a slightly stripped down version of its Intune MDM product, with its capabilities channeled toward protecting Office 365 documents and corporate email on mobile devices. 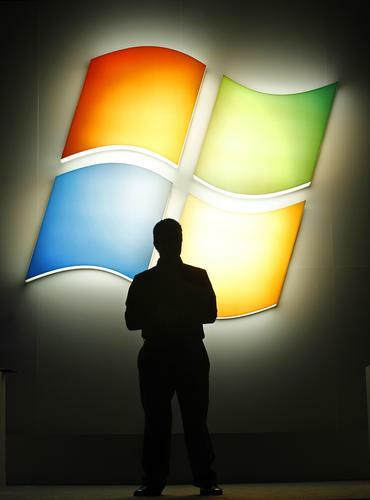 Microsoft envisages customers using either or a combination of the two. The main mobile security feature from Intune that’s missing in MDM for Office 365 is the ability to prevent information leaking from in-house ‘line of business’ apps through Facebook or personal email on the employee’s device. Also, unlike Intune, MDM for Office 365 also lacks support for desktop Windows as well as a few other power features. MDM for Office 365 otherwise plays to Microsoft’s strengths in the enterprise, allowing admins to lock down access to Office 365 corporate email and documents to compliant phones and tablets running iOS, Android and Windows Phone. Admins will also be able to enforce device level PIN lock and jailbreak detection and remotely wipe Office 365 company data from an employees device while leaving their personal data in place. The features should be useful for most enterprise organisations given the volume of corporate data within Office documents and email, and conversely, the lack of personal data in those systems. The new MDM features for Office 365 in some ways answer Google’s bundled MDM for Google Apps for Work customers to protect data in Google Apps on iOS and Android devices. Google recently bolstered this with Android for Work, which allowed customers to select third-party MDM vendors to protect and separate work data from consumer data on Android devices. But where Google wants to boost Android in the enterprise, Microsoft is protecting its Office 365 turf in the enterprise: the Office 365 MDM currently offers wider support for Microsoft apps on Android and iOS better than Windows Phone. For example, support in MDM for Office 365 on Windows Phone 8.1 is limited to Exchange ActiveSync. Its MDM controls for OneDrive for Business and Office Mobile however are only supported for iOS 6 and above and Android 4.0 and above. “We provide ActiveSync support for device policy, conditional access and selective wipe for Windows Phone and tablets. We will extend these capabilities to Windows Phone Office apps in the future,” Microsoft said. Time for publishers, advertisers to ‘catch up’ on web encryption?